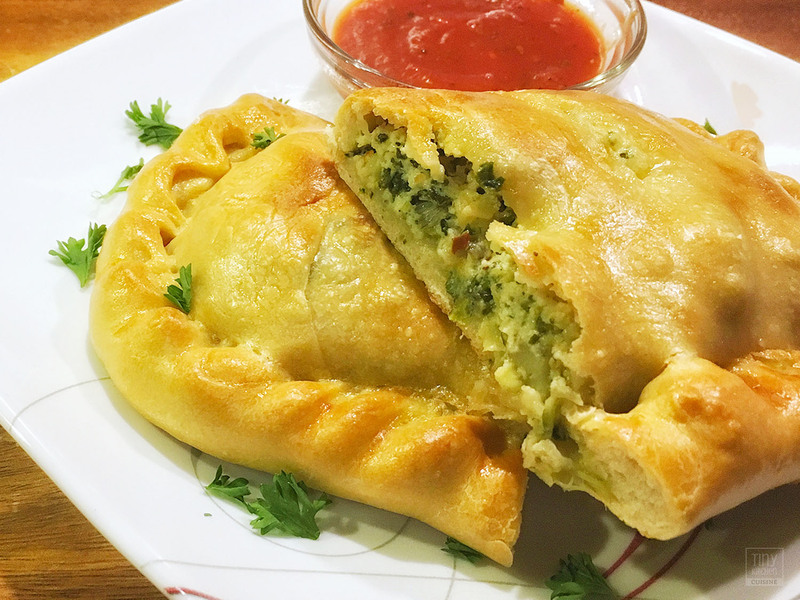 Spinach Artichoke Calzones! This is by far my favorite combination for a calzone. The earthy bitterness of the spinach pairs nicely with the slightly nutty sweetness of the artichoke hearts. Then it’s all encased in a pocket made of bread and cheese. Delicious and nutritious. Serve it alongside some a quick homemade marinara dipping sauce and what’s not to love? What’s With All The Squeezing? What can I say? Italians like to do a lot of squeezing! You’ll notice in the recipe that I start off by instructing you to prepare your vegetables. Make sure your spinach and artichoke hearts are pre-cooked and have as much moisture removed from them as possible. The reason is because these vegetables release water as they cook. If you don’t cook them in advance and manually squeeze out this water, you’re going to end up with soggy calzones. Nobody wants that. I personally use the same high-quality paper towel for both ingredients as there is no sense in making excess waste. I just wring it out in the sink as I blot my veggies and pick up more and more liquid. 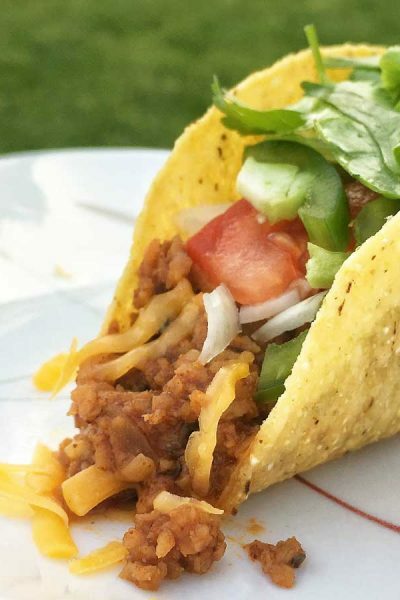 You can also use a few layers of cheesecloth or a really clean kitchen towel. Be warned: spinach juice is a natural dye; it might stain. Brushing your Spinach Artichoke Calzones with an egg wash before baking is also an important step of the process. The protein and fats in eggs are what gives your calzones a golden shine. If you skip this step entirely, you will end up with very pale cheesy pies. They will still be tasty—just a little ugly. So let’s say for some reason you need to substitute for another ingredient. You’re looking for a liquified protein and fat combination that you can brush on. Alternatives here could be heavy cream, half and half, milk, melted butter, or olive oil. Each alternative dough wash will give you a slightly different look to your golden brown shine, but it will definitely be better than nothing! You could go out and buy pizza dough at the grocery store. It’s not going to taste the same though and who know what terrible chemical preservatives they use these days. 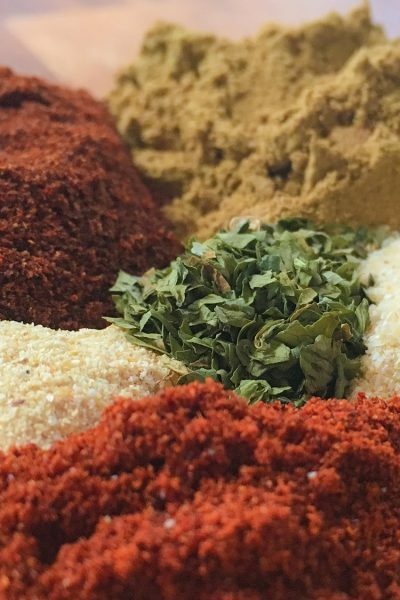 I recommend making it from scratch. The recipe on my site is a good homemade pizza dough recipe It’s pretty foolproof, doesn’t take too long to make, and I know for a fact it goes very well as the base for these calzones. 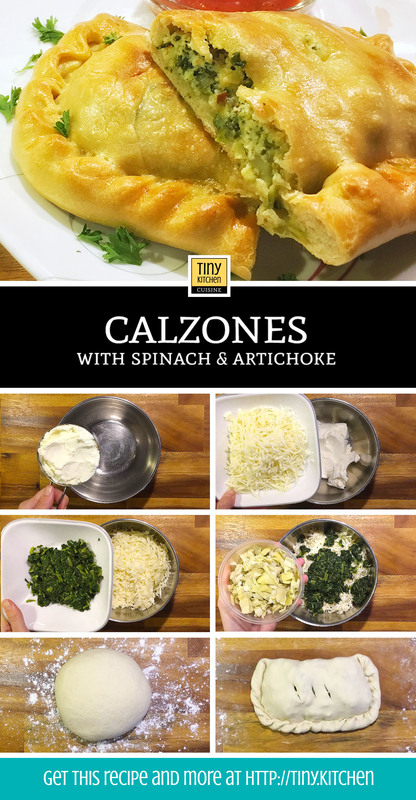 Cooking this Spinach Artichoke Calzone recipe from scratch in a tiny kitchen can be a labor of love but knowing how to make calzones is definitely worth it! Prepare Spinach: If using fresh spinach, loosely chop leaves and lightly steam until wilted. Let cool before handling. If using frozen chopped spinach, bring to room temperature. Squeeze spinach in a towel to remove excess moisture. Prepare Artichoke Hearts: If using frozen artichoke hearts, bring to room temperature. If using canned, drain well. Chop into medium-sized pieces. Squeeze artichoke hearts in a towel to remove excess moisture. Prepare Egg Wash: Crack egg into a bowl and add one tbsp of water. Beat together until mixed. In a large bowl, combine the ricotta, mozzarella, spinach, artichoke hearts, garlic, salt, red pepper flake, and oregano. Mix well. On a lightly floured surface, divide pizza dough into four equal parts. 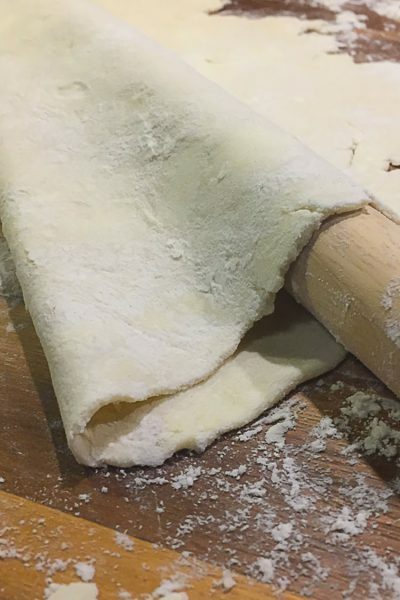 Spread or roll out the dough into rectangles about 1/8-inch to 1/4-inch thick. Spoon an equal amount of cheese mixture onto one half of each dough piece, leaving about a 1/4-inch border. Fold the dough over to form the pocket then pinch around the border with your fingers or with a fork to firmly seal the edges. Place each calzone on a baking sheet lined with parchment paper (or lightly sprayed with cooking spray.) Cut three slits into the top of each calzone. Lightly brush the egg wash over the calzones. Be sure to get the edges of the dough as well. Bake calzones for 20-25 minutes or until golden brown. Allow calzones to cool for 5 minutes before eating (the filling will be very hot!) 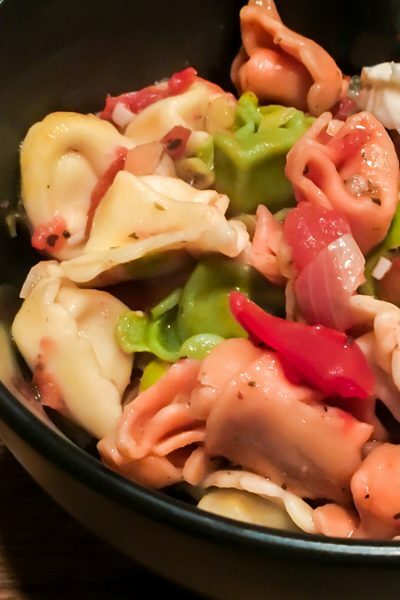 Serve with a side of marinara sauce. Making Spinach Artichoke Calzones from scratch in a tiny kitchen is a labor of love—no lie. It can definitely be done and it’s totally worth it. You will be cleaning a mixing bowl, cheese grater, large spoon, small bowl, fork, pastry brush, knife, cutting board, countertop, and possibly a rolling pin. Do yourself a favor and wash all of your prep dishes while your calzones are baking. It’s a hard situation to be delightfully stuffed with bread and cheese but you still have a bunch of dishes to do! You will also need access to an oven that can go up to 425 ℉. It’s always best to know your equipment well and be patient too. When I use my microwave/convection oven combo, I have to adjust the cooking time by adding 10 minutes. 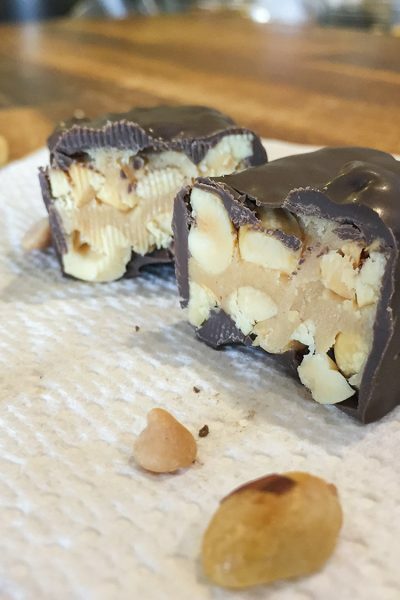 For this recipe, 27 minutes seems to be my oven’s sweet spot. I recommend that you put the calzones in the oven and start checking on their golden brown deliciousness at about 15 minutes but expect that it could take a little longer.